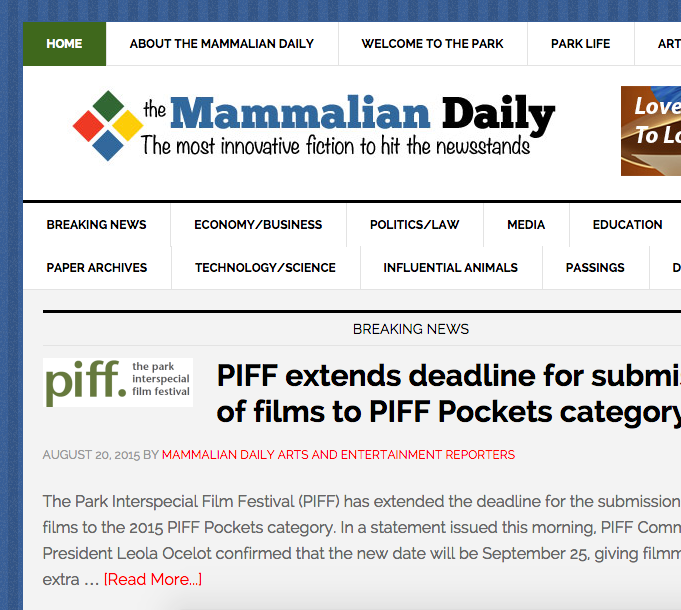 New site for The Mammalian Daily from a very talented writer, Susan Alexander. The Mammalian Daily is a satirical newspaper. It is written from the perspective of a group of animals who live in an urban park. The Mammalian Daily Lightens The Morning Cup O’Gloom tweets Canadian Literary icon, Margaret Atwood. With the help of WordPress and the Genesis “News” theme The Mammalian Daily is looking very much like a “real” newspaper. It’s the perfect platform the Susan to add articles easily and she takes full advantage of the built in CMS (content mangement system).